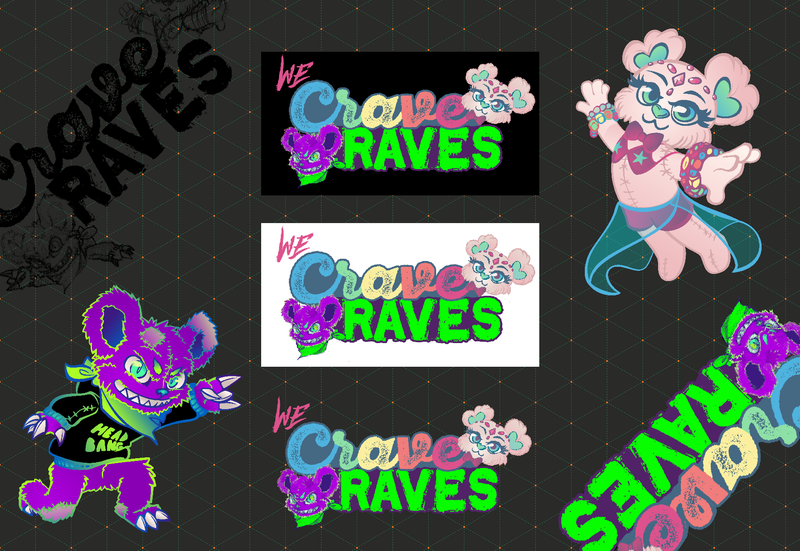 Logo and mascots designed for an apparel company catering to fans of the Festival/EDM (Electric Dance music)/Rave scene. The logo and mascots needed to be deployed on a Facebook page as well as a Shopify website, and be reusable for future implemtation on t-shirts, mugs, etc. of varying scale; as a result, I advised the client that a vector format would be best suited for future-proofing the work for any printing size.